sortBed sorts a feature file by chromosome and other criteria. -sizeA Sort by feature size in ascending order. -sizeD Sort by feature size in descending order. -chrThenSizeA Sort by chromosome, then by feature size (asc). -chrThenSizeD Sort by chromosome, then by feature size (desc). -chrThenScoreA Sort by chromosome, then by score (asc). -chrThenScoreD Sort by chromosome, then by score (desc). By default, sortBed sorts a BED file by chromosome and then by start position in ascending order. 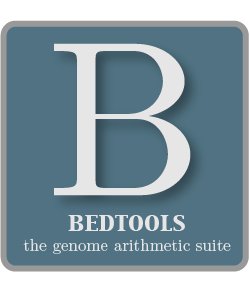 sortBed will also sorts a BED file by chromosome and then by other criteria.